You have snuck aboard Rockhopper’s ship, the Migrator! And as the ship sets sail, you’re off on a big adventure! Where will your path take you? Will Rockhopper discover you and send you back to Club Penguin? Or will you become his trusted friend, helping him out on his wild expeditions? Will you meet pirates? Feed a sea monster? Or stumble across hidden treasure? YOU decide in this nautical Pick Your Path adventure! 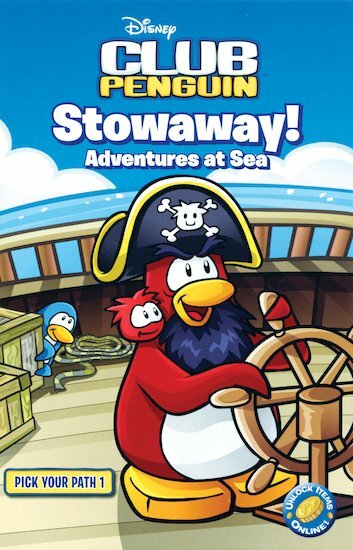 PLUS – go online to unlock cool Club Penguin items with the special code in this book. A book where you can choose your own paths. 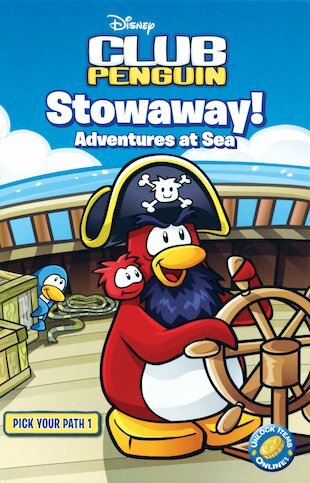 An okayish book, but I don’t like Club Penguin so it wasn’t for me. STUNNING! i enjoyed how it was all in your hands…. i mean ur flippers! I loved this book out of the four the most. If you want this book I suggest you get and I mean GET this wonderful book! I licked reaging this book all though i am a bit to old for Club pengin. i like as well how you get to pick you path.